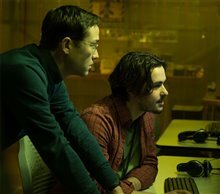 This politically-charged drama reveals the story of American Edward Snowden (Joseph Gordon-Levitt), the former CIA employee and NSA contractor who leaked thousands of classified documents to the press. What he revealed was that the U.S. government had been spying on its citizens to a greater extent than most people knew, including taping into their cell phones. 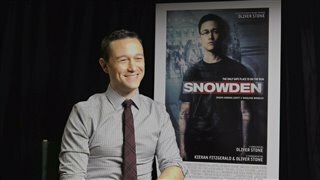 After deciding to expose the surveillance activities, Edward fled the country to seek asylum elsewhere, leaving his longtime girlfriend Lindsay Mills (Shailene Woodley) behind. His actions cost him his American passport and he had to go hide in Russia. Edward's scandal rocked the world and shocked Americans. He became the most wanted man in the world — considered a hero by some, and a traitor by others. 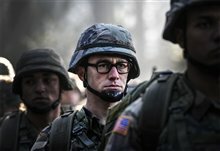 "This was a very well done docu-drama that provides viewers with a picture of what Snowden, the man, was really all about and the sacrifices he had to make in order to get the truth out about how the US government was spying and collecting data on law abiding citizens of the US , and other countries, without just cause or due process. The movie will really open your eyes to a reality that is quite disturbing." "Excellent movie. JDL is such a talented and versatile actor. 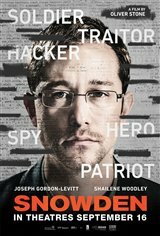 The story of Edward Snowden and how his eyes were opened to the corrupt and terrifying underworld of the NSA and CIA. I'm personally thankful for his sacrifice of freedom to show the American people just how corrupt and dishonest the government can be. A democratic government is supposed to protect the values and privacy of its people, not abuse and infiltrate it through their own personal devices. The world needs more transparency and honesty. Thank you to Snowden for being brave enough to stand up for what is right. I guarantee you will cover your devices cameras after seeing his story. Call me paranoid but every single one of my devices has been and will always be covered since I discovered his story."